For example, coloured contrasts can be used to structure a room and to facilitate the perception of the environment for someone with dementia. 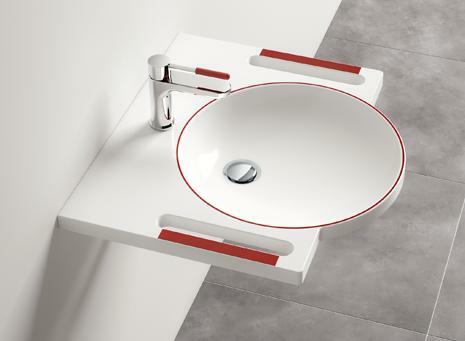 The dementia washbasin and the System 800 K sanitary accessories and accessibility products follow these design requirements. Qualitative studies show that the colour red is most easily perceived by patients with dementia and as the disease progresses it is the colour perceived for the longest time. Red is also the most easily registered colour for people with age-related impaired vision or inoperable eye diseases, for example, macular degeneration. 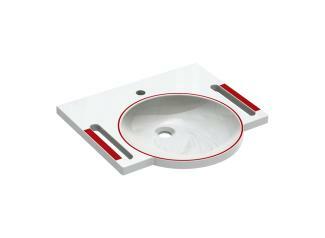 For further Information including a product selection click here or take a look at our website.